It's been too long since we last ran some community online gaming here on Nintendo Life, so with the festive season and some extra play time at our disposal we thought we'd bring it back for some Holiday fun. It's a slightly off-the-cuff and late decision, but the plan is to host events that you can join for both Mario Kart 8 and Super Smash Bros. for Wii U. In the interest of trying to have full-ish rooms we'll have limited play windows, but we are going to set the events to your preferences; that's why we're running some polls. As stated above we're happy to take your lead in terms of the rules each event will follow - in MK8 it'll be a Community, and in Smash Bros. it'll be a Tourney. So, vote for your preferred rules below. Which speed class do you want? Which courses should be available? Which items should be available? Which vehicles should be available? Which rules do you want for each round? How should stages be picked? Should Mii Fighters be allowed? Should customised characters be allowed? As these community nights are a bit of fun we're not going overboard with the rules, but nevertheless we want you to have the choice on the basics. So, cast your votes, and we'll reveal the results and the and the details for joining in on 22nd December, prior to the Mario Kart 8 Community launching. Enjoy! I might just be able to make the smash tournament. Will there be any password to get in? I should be able to pop in for a few races in MK8. My name is the same as here. I voted in the majority in each of the questions above, but I'm open to any rule sets you guys want. MARIO KART EEEIIIIIIIGHT! If I were to play Smash stock all the way. I'll take a 200cc Mario Kart 8, all items, 3-stock Smash Bros., no items, and Omega stages included, please. sounds like fun if i have time i'll race for awhile. i don't have smash bros for wiiu yet though just 3ds. anyway looking forward to maybe playing some mario kart 8 with everyone. Won't make it during mate evenings unfortunately. It's been way too long since I've played MK8, tough. I'll have to fix that soon. 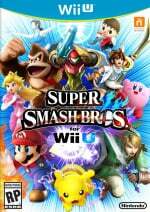 Only Wii U Smash Bros.? Darn, guess I'll have to sit it out. Have fun though. Alright! I'll be playing MK8 for sure, not so sure about Smash though... Looking forward to seeing everyone on the track! Quick question: This will be my first time joining in on a Nintendolife community play session, so for MK8 in particular, do I just find the NL community under tournaments to join? Thanks in advance. First time I've played with the people here looking forward to it! Bring it fellow nindylifers! I'm fairly hopeless on Mario Kart, but I'll be up for the tournament. Smash will also be great fun. The timings work really well for me in the UK since I'm working through the day. I'm down for some Smash. I might enter the Smash Tournament if I'm not busy. Prepare to face the wrath of Cloud! EDIT: I keep on forgetting I have Mario Kart. I don't think I even finished all the Prix...or whatever you'd call them. I think I did unlock the characters at least...Whatever I shouldn't have sold Mario Kart 7...I'd destroy you all in that too if I had kept it, but I'm not sure about Mario Kart 8. @CharlieSmile I will add you and we can Smash later. Likewise, my NNID is my screen name on here. Allright, lookin' forward to Smash. I get out of school tomorrow, so I should be able to make it. You will see me as Picard on MK8! Would love to play Smash, but my internet is way too awful. YES I love organised carnage! 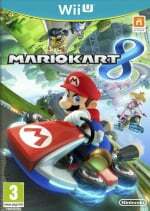 December 22?, Mario Kart 8? Tomorrow!! I`m in! See you guys in Mario Kart (don`t know about Smash though). @ThomasBW84 So when is the Smash tourney as 23rd December 8pm - 23rd December 1am doesn't make any sense? Same times as MK8 or the next day? 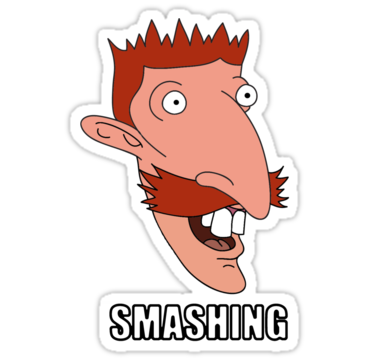 I'm definitely in for Smash and might be able to make MK8 tonight. Overall, this is how I feel about this initiative. To bad no Splatoon. Wi'll do my best to join MK8. 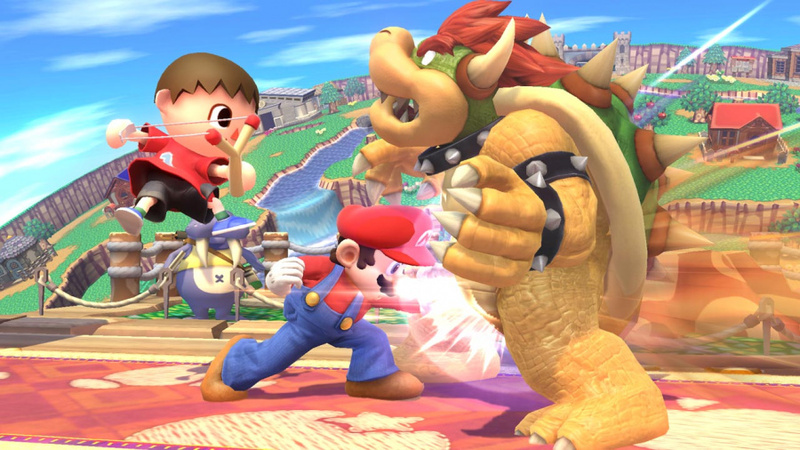 My Smash skills are so sub-par, they hurt the eyes. Best to just skip it. Great iniative though! @Grumblevolcano My bad, will correct. Smash Bros. is the next day. @Order2Chaos It's awkward with Splatoon as that involves establishing Friend Lists etc, unless I'm missing something. It's worth checking out the forums, though, as I believe there's a thread where Splatoon players arrange get-togethers in Friend groups online. @ThomasBW84 No Thomas it is a bit akward as you mentioned. Especially with large groups having to change all the time. It's great you're hosting these events as is. I'll be sure to check the forums. Thanks! Definitely up for both Smash and MK8! Although, those of you that voted in favour of Mii Fighters have been added to my death list. @giddygoons I dislike Mii Fighters as well. @ThomasBW84 Is it possible to switch some stages off if we're having the selection as random? Namely the huge stages, especially the ones @Gridattack mentioned and ones with intrusive stage bosses. @Mr_Rawky That's something we've done in the past, yeah, and could do again in future. This is just a fun mess around, really, but if we make this a regular thing in 2016 it's something we'll take votes on.